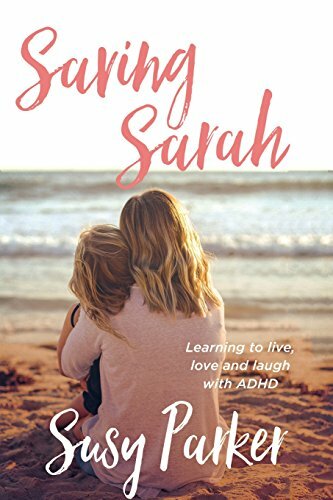 In my first book Saving Sarah I share my raw, painful and honest experiences about the dark side of having a child with ADHD, but I also paint the positive picture that people often don’t see or understand – and also show how it is handled by the medical profession, schools, peers, family and friends. Over 18 months we trialled many different types of drugs, consulted various experts and received numerous diagnoses for Sarah. I found myself in a world that made me believe that Sarah had a disease, a disorder and an illness, where she could only thrive if she were heavily medicated. Isolated, confused, frightened and desperate, the journey almost tore my family apart, as Sarah’s behaviour spiralled out of control. Now, two years since the initial diagnosis, Sarah is a happy and thriving child, and better still: she has achieved this without medication. We are immensely proud of Sarah, and how far she has come. By sharing Sarah’s story, I hope to start a ‘Positive ADHD movement’ to remove the stigma, misunderstanding and labelling that comes with Attention Deficit Hyperactivity Disorder. Please join me on Facebook and Twitter to receive regular blogs and updates and Instagram to get ADHD related tips. Let’s get this village built Mamma Bears – it’s way overdue!